Leo Vegas – 2017 Leo Masters Tournament! Play for your seat in the finals! Win a dream Mediterranean break and €20.000 in cash in the final tournament! 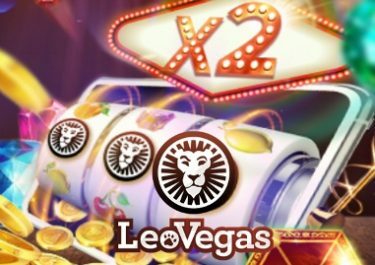 Get ready to prove yourself as one of the top Live Roulette, Live Blackjack or Slots players in the 2017 Leo Masters Tournament and you will walk away with a huge cash prize on top of being whisked to sunny Malta for an unforgettable 3-day weekend break and participation in the final tournament at a land based casino. Take part in four qualifying rounds to secure one of 12 seats and a chance to win €20,000 in cash. 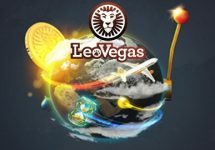 Get your paws on a share of €60,000 as Leo Vegas Casino will be sending 12 players to the middle of the Mediterranean for the ultimate casino experience – soak up the stunning surroundings, receive VIP treatment and top it all off by winning €20.000 in cash. Each week one Live Roulette, one Live Blackjack and one Slot Games player will qualify for the final Leo Masters Exclusive Tournament, to be contested in a prestigious casino on the sunny island of Malta. In the tournament, the last Live Roulette, Live Blackjack and Slots players standing will then each win €20.000 in cash. Earn 1 point for every €20 you play at any Live Roulette table, Live Blackjack table or on any Slot. Earn triple points for every €20 you play at any table in the Chambre Séparée. The players with the most points in every category will each win one seat at the Leo Masters Finals. 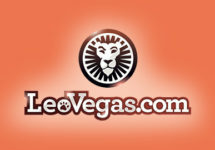 The players who wager the most on Roulette or Blackjack in the Chambre Séparée, or on any Slot, will top this week’s leader board and again, in every category will win one seat at the Leo Masters Finals. Earn 2 tickets for the draw for every €100 you play through at any Live Roulette or Live Blackjack table or on any Slot. Earn 4 tickets for the draw for every €100 you play through at any table in the Chambre Séparée. The three winners will be chosen at random live at 18:30 CET on 23rd October 2017 at our Celebrity Blackjack table. The 12 winners of each qualifying round will win a trip for 2 to Malta and a seat to the Leo Masters Finals from 9th – 12th November 2017. Winners must ensure they can travel on these dates as otherwise Leo Vegas will choose a new winner. The trip package for two includes return flights from Europe to Malta and accommodation for three nights. Any other traveling expenses, meals and drinks are not covered in the package. 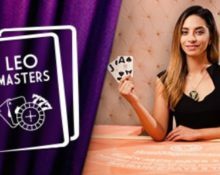 The live tournament will take place on 10th November 2017 at a land based casino in Malta with the players competing in three categories, each in the category they qualified in the pre-final events: Live Roulette, Live Blackjack and Slots. The winner of each category will be awarded a prize of €20,000 in cash each.